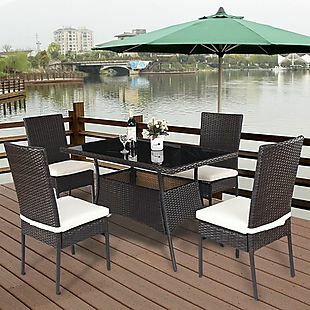 This 4-Piece Rattan Wicker Outdoor Patio Set, listed at $299.99, drops from $189.99 to $151.99 when you apply code HOME20 at checkout at Costway via Rakuten. Plus it ships for free. It's the lowest price anywhere by at least $7. The loveseat and chairs come with removable cushions, and the coffee table features a tempered-glass top. Please note this promotion is not valid with guest checkout and the pictured throw pillows are not included. Sales tax is charged in most states. 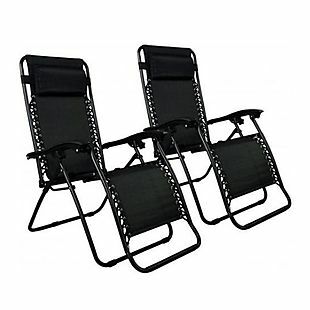 Originally $139.99, this pair of Zero Gravity Outdoor Patio Chairs drops from $62.99 to $50.39 when you apply code HOME20 at checkout at Factory Direct via Rakuten. Plus shipping is free. That's $11 less than the next best price we found. Each chair has an adjustable head cushion and multiple reclining positions. Note that this promo code is not valid with guest checkout. Sales tax is charged in most states. 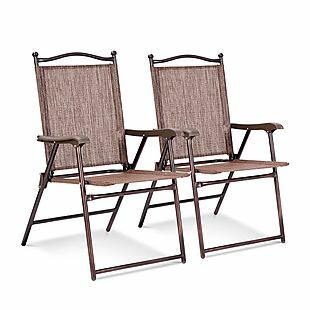 These Sets of 2 Folding Sling-Back Patio Chairs drop as low as $40 when you apply code HOME20 at checkout at Costway via Rakuten. Plus they ship for free. The pictured set listed for $109.99, but it drops from $49.99 to $40 with the code. That's over 60% off the original price and just $20 per chair. Each chair is made with water-resistant and stain-resistant material. Three additional colors are available for slight price increases. Please note that this promo code is not valid with guest checkout. Sales tax is charged with most states. 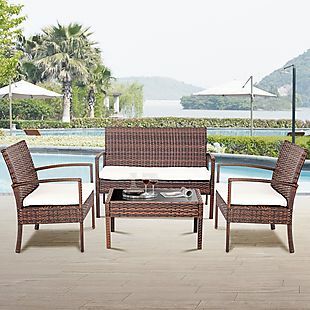 This 4-Piece Outdoor Patio Rattan Wicker Furniture Set listed for $299.99, but you can get it for $148.79 when you apply code HOME20 at checkout at Costway via Rakuten. Shipping is free. We found the same set priced for $15 more at other retailers. It includes one loveseat, two matching single sofas, and one coffee table. This promo code is not valid with guest checkout. Sales tax is charged in most states. 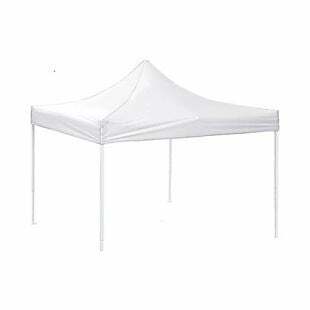 This 10' x 10' Pop-Up Canopy Tent originally listed for $215.90, but drops from $85.99 to $69 when you apply code HOME20 at checkout at Yescom USA via Rakuten. Plus it ships free. It's made from heavy-duty PVC-coated oxford fabric that is waterproof and wear-resistant. We found comparable canopy tents priced for up to $30 more at other retailers. It's large enough for 10 adults to use and features four adjustable heights. It's also available in five colors. Please note that this promotion is not valid with guest checkout. Sales tax is charged in most states. This 4-Piece Patio Set drops from $189.99 to $151.99 when you apply code HOME20 at checkout at Costway via Rakuten. Please note that this promo code is not valid with guest checkout. Shipping is free. This is the best price we found by $33. 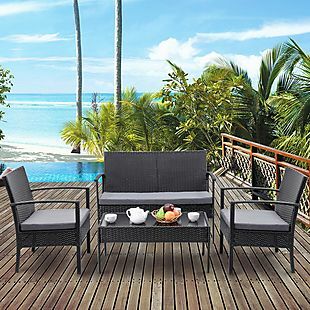 This patio set has removable cushion covers, and all hardware for assembly is included. We suggest checking the set's measurements before purchase. Sales tax is charged in most states. 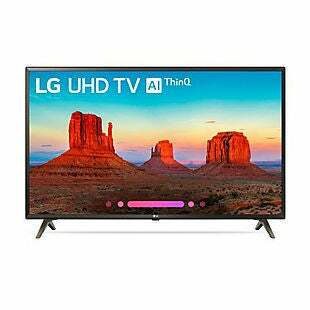 Please note the code and price and changed since this deal was first posted. 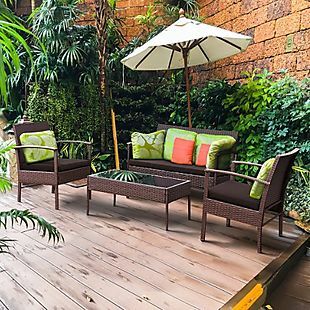 This 5-Piece Cushioned Patio Set drops from $499.99 to $239.99 when you apply code HOME20 at checkout at Costway via Rakuten. Plus it ships for free. We found the same dining set priced for over $40 more at other retailers! It comes with four matching chairs and one glass-topped dining table. Each is weather-resistant and waterproof. This promo code is not valid with guest checkout. Sales tax is charged in most states. 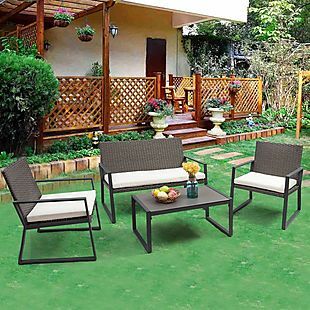 This 4-Piece Cushioned Patio Set drops from $169.99 to $135.99 when you apply code HOME20 at checkout at Costway via Rakuten. Shipping is free. Note that you must be signed into your account to be able to enter the code. This is the best price we could find by $34. It has steel frames, two single chairs, a loveseat, and a coffee table. Sales tax is charged in most states. 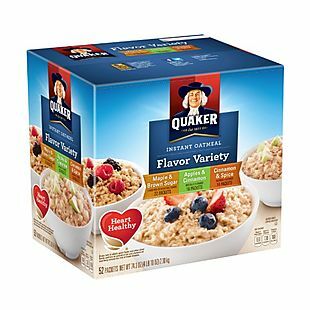 Get this 52-Count Quaker Instant Oatmeal Variety Box on sale from $16.21 to $10.99 when you apply code BYL5 at checkout at Brands You Love via Rakuten. That's just over $0.20 per packet! 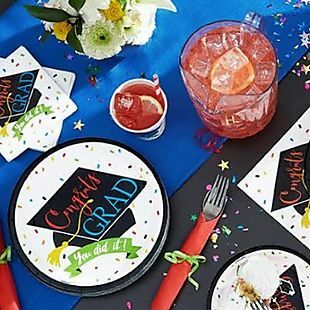 Free shipping makes this the lowest final price we found by $4. The box features three instant oatmeal flavors. They include Maple & Brown Sugar, Apples & Cinnamon, and Cinnamon & Spice. Combine your order with these other Quaker Products to sweeten the deal. Please note this promotion is not valid with guest checkout. Sales tax is charged in most states. 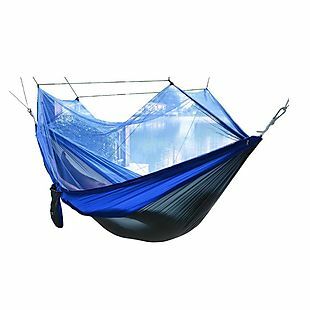 This 2-Person Parachute Hammock falls from $29 to $20.79 when you apply code HOME20 at checkout at EtcBuys via Rakuten. Shipping is free. Most other retailers have comparable parachute hammocks priced for at least $4 more. It comes equipped with a bug mesh net and is made from a quick-drying nylon. It's also mildew- and rot-resistant. Choose from six colors. Note that this promo code is not valid with guest checkout. Sales tax is charged in most states. 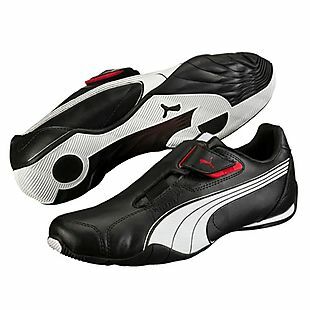 These Puma Redon Move Men's Shoes drop from the already low price of $29.99 to $25.49 when you use code SAVE15 during checkout from Puma via Rakuten. This was the best price we found by $5. Shipping is free. You must be logged into a Rakuten account for the code to work, and it's free to sign up. They are available in sizes 7 to 14. Sales tax is charged in most states. Check out this selection of Marvel Avengers Toys on sale for as low as $12.74 when you apply code SAVE15 at checkout at Hasbro via Rakuten. Plus shipping is free. 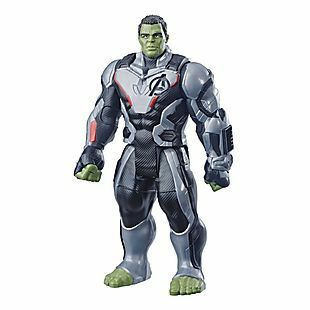 For example, this Endgame Titan Hulk Action Figure falls from $14.99 to $12.74 shipped. With free shipping, that's the lowest price we found by $3. Also available is this Infinity War Captain America Nerf Blaster, which falls to $18.74 with code. Please note that this promotion is not valid with guest checkout. Sales tax is charged in most states. 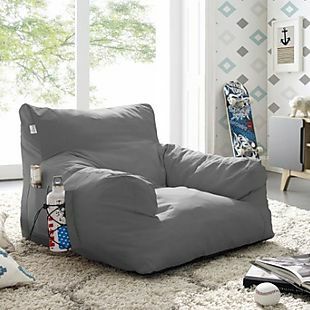 Originally $339.50, this Foam Nylon Indoor/Outdoor Lounger Chair falls from $110 to $88 when you apply code HOME20 at checkout at HomeSpot via Rakuten. Plus it ships free. That's $14 less than the next best price we found. The cover is waterproof and good for both indoor or outdoor use. Choose from seven colors. Please note that this promotion is not valid with guest checkout. Sales tax is charged in most states.